Mitre and Japan-based National Institute of Information and Communications Technology have agreed to examine potential cyber and physical security measures for the 2020 Summer Olympics in Tokyo as part of a memorandum of understanding. 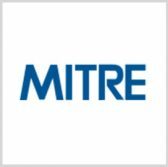 The agreement calls for both parties to explore cybersecurity, sensor and artificial intelligence tools that can work to help secure the international sporting event, Mitre said Monday. Jason Providakes, president and CEO of Mitre, and NICT President Hideyuki Tokuda signed the MoU last month at the nonprofit company’s McLean, Virginia, facility. Mitre appointed Oliver Hoare, chief information security officer of the 2012 London Summer Olympics, to help the Japanese institute prepare for the upcoming Tokyo Summer Olympics.